Select the Print Settings drop down. Media Type - You will never see the name of your Red River Paper in this listing! 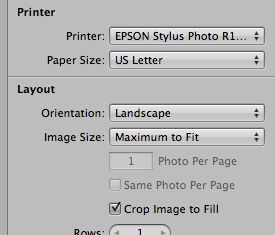 The drop down is only populated with Epson paper names. 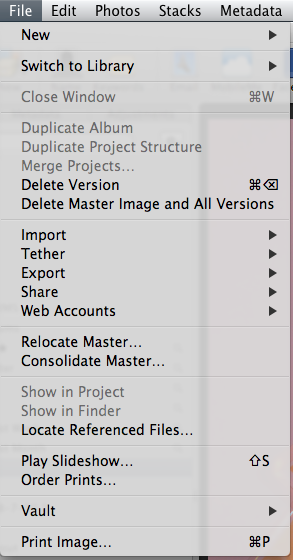 Check your profile's instruction file (it came with the download) for the recommended media setting. Color Settings - should be "Off (No Color Adjustment)" by default. 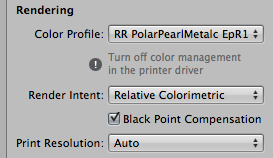 This is because you chose a color profile in Aperture above. It may also be grayed out and set to Colorsync. 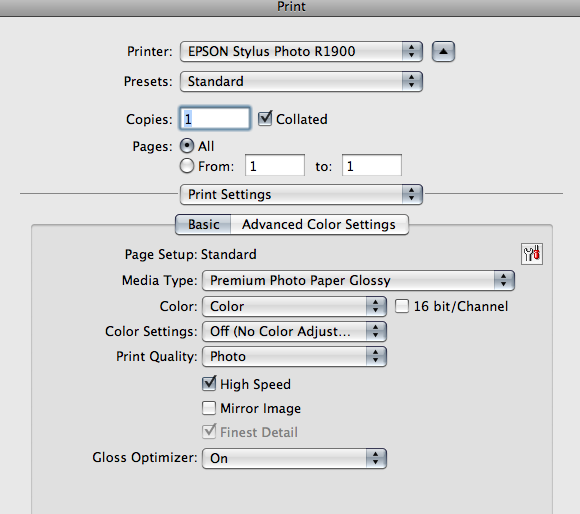 Print Quality - Best Photo is recommended for most Epson printers. If that is not available, choose Photo. High Speed - As a rule we leave this setting turned off.